A German tourist had to be airlifted to University Hospital Galway today after being injured in a fall at the Cliffs of Moher. The woman in her 50s was out walking the trail at Hags Head when she injured her leg in a fall. Emergency services were alerted at approximately 12:30pm, the Irish Mirror reports, with multiple branches of the emergency services coordinating to locate and assist the woman. Gardaí, along with and ambulance and paramedic crew responded to the area, locating the woman a good distance away from the main road. Volunteers from the Doolin Coast Guard Unit also responded after being requested for help. An air ambulance that had been on a training mission was called to the area, and landed in a field nearby. After being treated at the seen, the woman carried by paramedics and coast guard to the air ambulance from the walking trail. 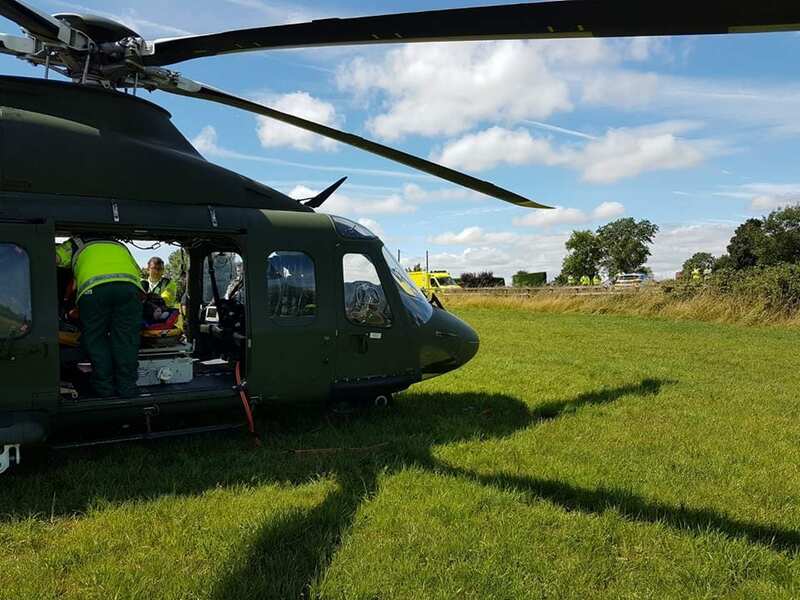 She was airlifted from the area and brought to University Hospital Galway for treatment.